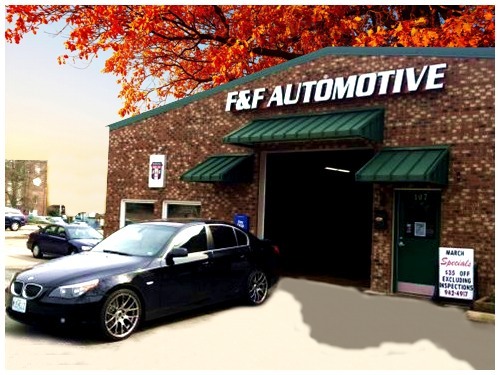 F&F Automotive was established in 1962 by Cleve Fogleman and has remained a well known and trusted auto service center in the Carrboro community ever since. READ ABOUT THE F&F HISTORY FROM MICHAEL FOGLEMAN. Over the years F&F Automotive has consistently provided reliable repair services and maintenance for a wide array of privately owned and fleet vehicles. With a strong ASE Certified team of technicians, F&F continues to upgrade their operations to meet the demanding requirements of today's "smarter" cars and trucks whether they are European, Asian or domestic. We're also a North Carolina State Inspection Licensed Facility. You won't find many automotive service centers that are still in continuous operation after more than 50 years, consumer trust always drives this type of commercial longevity. The F&F Automotive priority is a focus on customer service and getting it right the first time, and we plan on sticking to that successful business model for the next 50!